GFG Genie Little Room Escape 2 info about the game-Games2Rule. GFG Genie Little Room Escape 2 is another point and click game developed by Genie Fun Games. 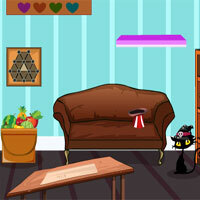 Player's had experience our little room part 1 now you going to play our part 2 of little room escape game. It will be interesting like before one. So go ahead and find the way to escape. Use and interact with objects, puzzles and symbols.